Chris Larson 02/12/13. "One of the things I have noticed is that T. Bishop John Fisher seems to float around on the net without a flowering photo. I have had this Dimmitt hybrid, registered by PTIsley in 2012, since 2006 when I received it from Paul under formula T. seleriana X caput-medusae. Many of those floating around Australia under the formula will be Paul’s plant as well. 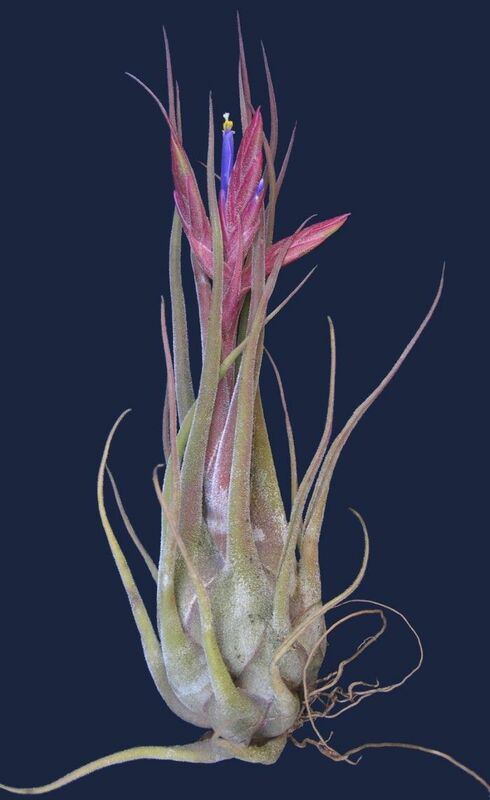 The photo in Tillandsia II is not very representative either – though a neat photo of a juvenile plant. So although this is an old photo I just came across in my archives I thought I’d put it “out there” or rather “on here’."